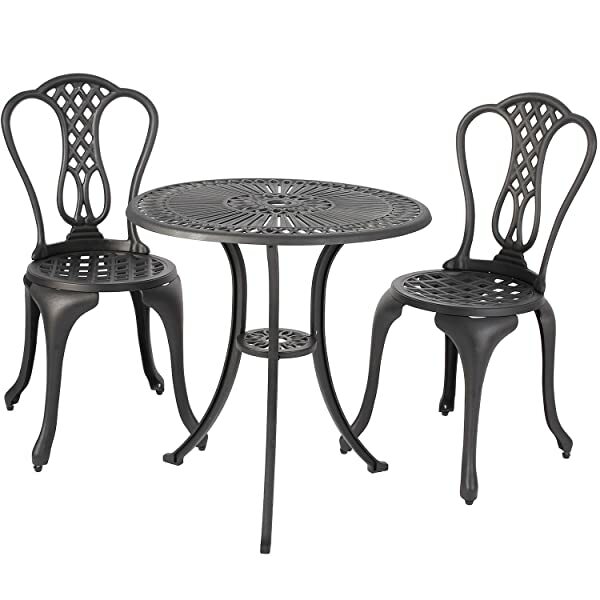 Here’s a selection of great Black cast aluminum patio furniture table and chairs sets. I don’t know why they keep coming out with x is the new black. 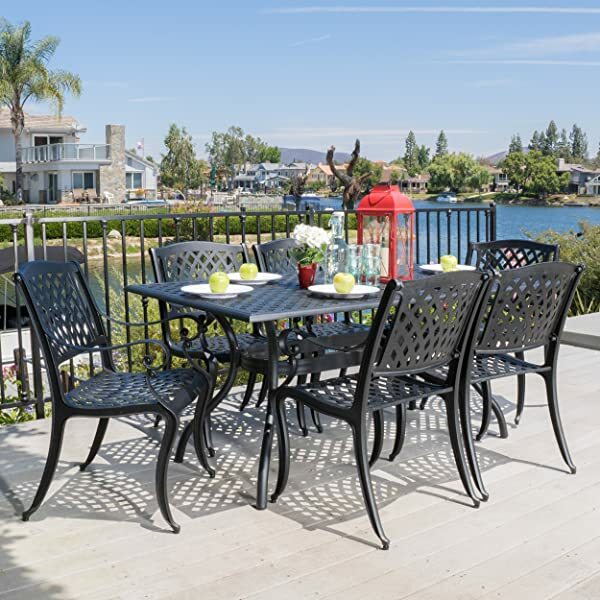 Black is black right, and we both know how fantastic it looks on the right patio. 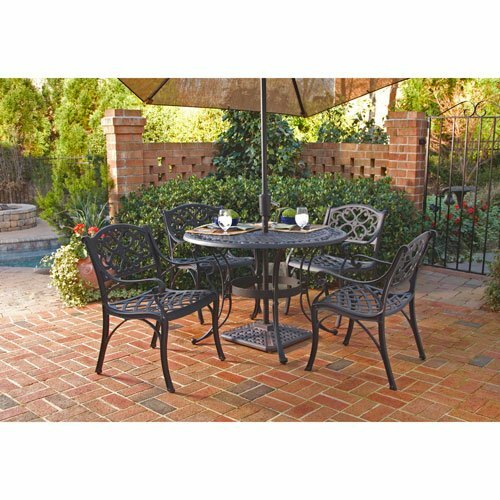 It can be a little tough sometimes choosing furniture for the patio. I did originally start off with plastic – I know right, no need to go there. 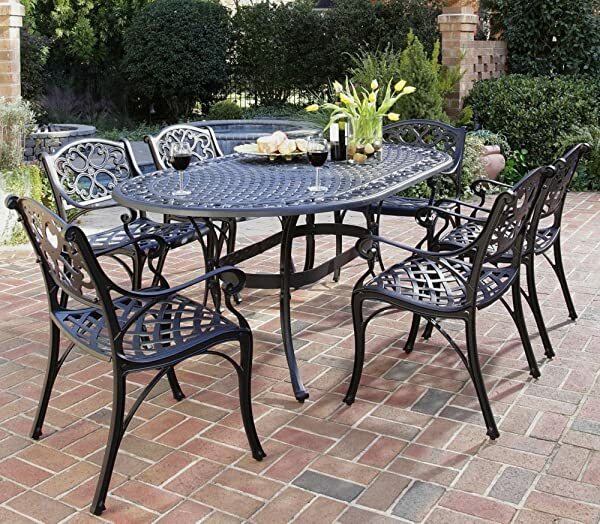 Wood was okay, and maybe it’s just me, but the furniture got a bit rickety. 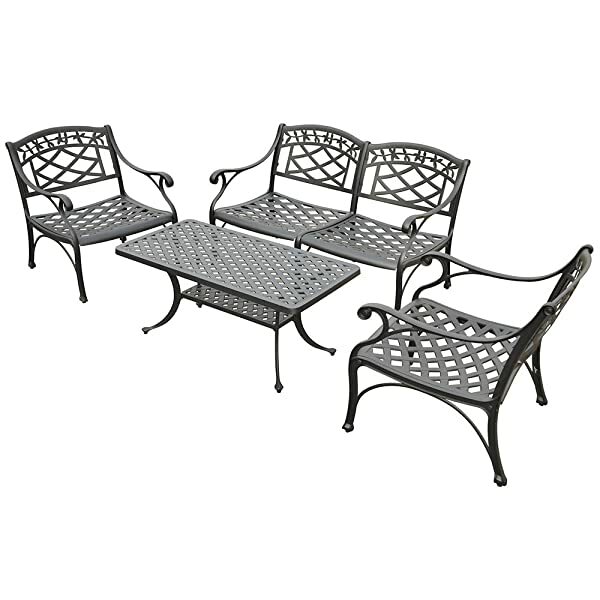 So my favorite garden furniture selections are now made of metal. And the color black is devastatingly striking.